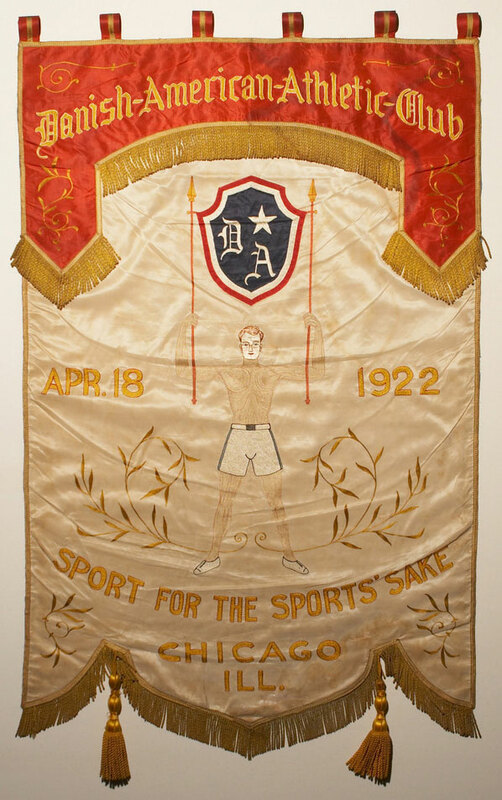 DAAC Banner The 'DAAC of 1922', though organized on April 18, 1922, was actually incorporated on March 30, 1923 in the 147th year of the Independence of the United States of America, according to the incorporation certificate. The certificate announces their stated objective "to promote sport and physical culture among the Danish young people of Chicago or descent of said nationality" and their affiliation with "the AAU, Illinois Soccer Football Association & District League, and the Danish National Committee of Chicago". The first President was Laurits Madsen and the business office address was 1700 North Washtenaw Avenue. All the club officers addresses were within a few blocks of each other around North Avenue near Humboldt Park. But the earliest records of the Club date back to Jan. 10, 1914. 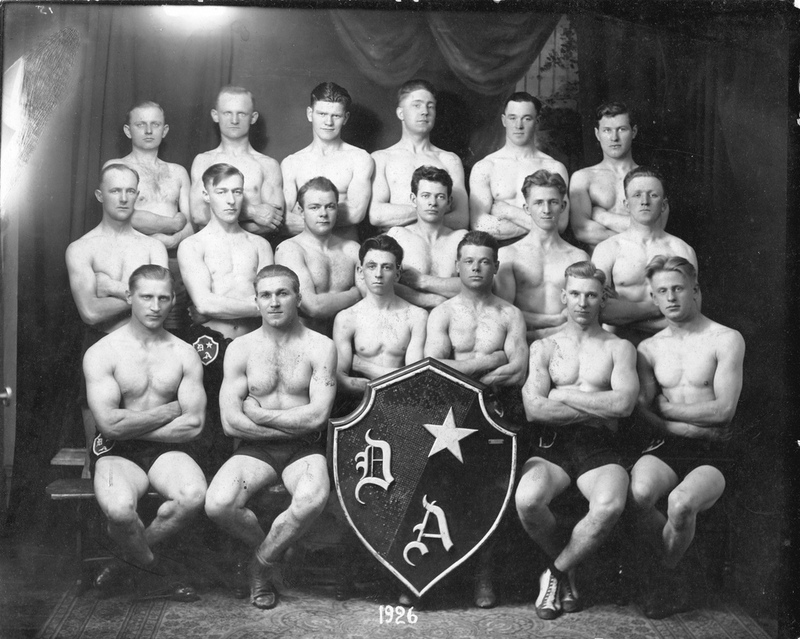 According to the Danish paper "IDRAETTEN" that day was an historic day in the annals of Danish athletics here in Chicago, and that the DAAC was the first real Danish athletic association in this city under the name Danish-American Athletic Association. The correspondent goes on to claim that several of the club members would be well known to IDRAETTEN's readers- Oluf Lodal, who participated in the Marathon in Stockholm, Christian Christensen, a runner from Aalborg, the club President who first put forth the idea of a Danish - American Athletic Club (the correspondent also went on to complain of the mistreatment of Christensen at the hands of the Copenhagen press), and John Steen (cited as one of Jutland's athletics best known sportsmen) is Vice-President. The club had 30 members at this time but expected that this number would double in the course of the next month and that the Club would obtain a large following as soon as fellow Danish-Americans were aware of its existence. St. Ansgars Church The club would also offer training in boxing and wrestling and touted its access to an excellent track in the First Regiment Armory, more than 150 yards in circumference. The club would first show our Danish-American colors the 6th and 7th of February of that year when they participated in 5, 2, and 1 mile races and the article noted that they expected to compete against America and Canada's best athletes. DAAC Secretary Steen Rasmussen advised that their goal was to carry on the same good tradition of sport as was followed at home, which they hoped would continue. He could not close without a dig at the unfortunate wild aberrations in sports he had seen on this side of the Atlantic. Perhaps the club became dormant during the First World War, as an article in the Chicago Tribune of April 8, 1962 advises that the club was formed once more in 1922 when a "....group met in the rear of a saloon at Washtenaw and Wabansia ... " and in 1924 "... the first exhibition was held in Wicker Park before 1,200 spectators..." Well, maybe the people from the saloon were doing the counting. The article goes on to say that the club's founder, Laurits Madsen, was awarded a gold medal for the winning the Daily News wrestling tournament the same year. A booklet issued by the DAAC in 1943 notes that the first gymnastics exhibition brought to Chicago's Orchestra Hall in 1923 by Niels Bukh "served as a great inspiration to members of the new organization". DAAC 1926 Wrestling Team The Irving Park News of April 5, 1962 claims that three club members, Robert Nussle, A. Ervick, & Jens Dam, were chosen to compete the 1928 Olympic wrestling tryouts. 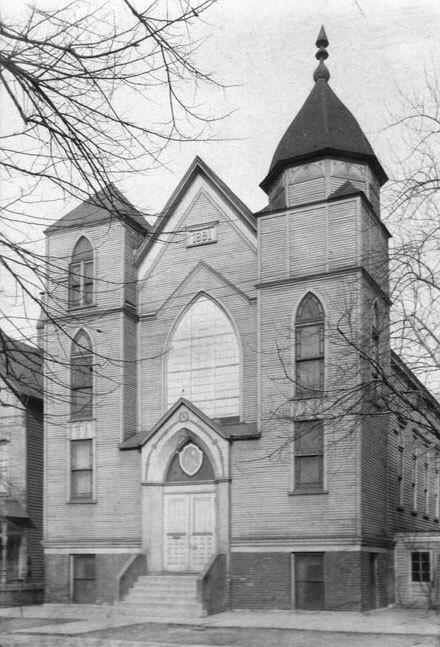 In the same year the club purchased St. Ansgar's Church at 1639 North Washtenaw Avenue and transformed the building into a gymnasium. The Club must have flourished during the Depression. Childrens classes were added in 1931, and the club sponsored another gymnastics exhibition from Niels Bukh's Ollerup Academy at Crane Tech. High School. The DAAC's own gymnasts and folk dancers gave exhibitions at The George Washington Bicentennial Festival at Soldier Field in 1932, at the Chicago's World Fair in 1933, and at the Carnival of Nations at the Chicago Stadium in 1934. 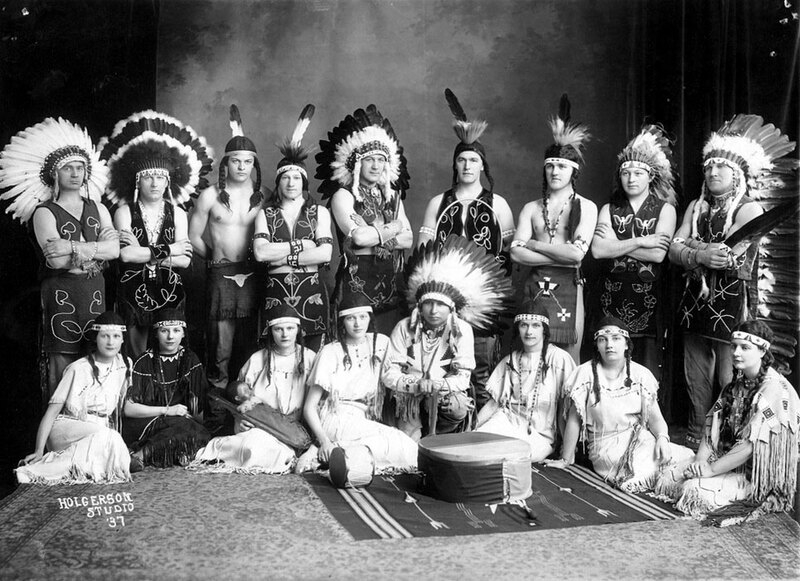 According to the Northwest News of May 26, 1963 in 1936 a group of the clubs young gymnasts and dancers "... some of them trained by Chief Whirling Thunder of Wisconsin, who also accompanied the group,..." toured Denmark and gave 34 performances before 70,000 people. DAAC Exhibition Team Niels Bukh brought another gymnastics exhibition to Lane Tech. High School in 1939. In 1940 the DAAC sponsored Erik Flensted Jensen's tour throughout the United States with a group of young Danish boys and this group gave three exhibitions in Chicago. In 1941 the DAAC saw folk dancers participate in the staging of "Elverhoj" at the Logan Square Masonic Temple. The 20th anniversary exhibition in 1942 was given in that same hall with a record attendence. At this time the club was publishing a monthly paper, "IDRAET", maintaining 8 gymnastic teams, 3 folk-dance teams, 14 bowling teams, a basketball team, a baseball team, a children's chorus, and a Danish War Relief group meeting weekly to gather, repair, and pack clothing for shipment to Denmark. Another period of dormancy followed after World War II. In 1963 the club was headquarted at the Dania Hall at 1651 N. Kedzie Blvd., but the club was growing and needed its own space. On April 26, 1964 the club held an open house at the new building at 4624 N. Pulaski Blvd and President Poul Steffensen dedicated the new building that same day. Scandinavian American Cultural Society Building DAAC hosted tours of the gymnastics teams from the Ollerup Academy in 1963 and 1965 and acquired a teacher, Holger Bronsted, from the tour. In 1965 as immigration waned, the club commenced Danish language classes. By 1968 the club boasted a membership of 300, and had 100 gymnasts and 70 folk dancers. In 1970 the young women's team was invited to the 50th anniversary of the founding of the Ollerup Academy of Physical Education and the program from that year acknowledges that debt and notes that the "...DAAC takes pride in its teaching of the Niels Bukh system of gymnastics which originated in 1920 at the Ollerup Academy..." In 1972 the club celebrated its 50th anniversary under President Harry Sloth. Migration of an entirely different nature was to change the club dramatically during its next quarter century. Immigration from Denmark decreased, and the descendants of the earlier immigrants and new arrivals sprawled all over the rapidly spreading metropolitan area of Chicago. In 1980 DAAC, together with the Normennenes Society, Dania, and Skjold Lodge formed the Scandinavian American Cultural Society (SACS) and purchased a former Elks Club building in Arlington Heights, Illinois. The partnership between the 4 clubs was dissolved after the building was sold in 2001. Click here for additional historic DAAC pictures.